Do you like sushi and sashimi? Perhaps you’re hungry for some hearty teriyaki, udon, or katsu? Oishi Spanish Fort is the restaurant you should visit. 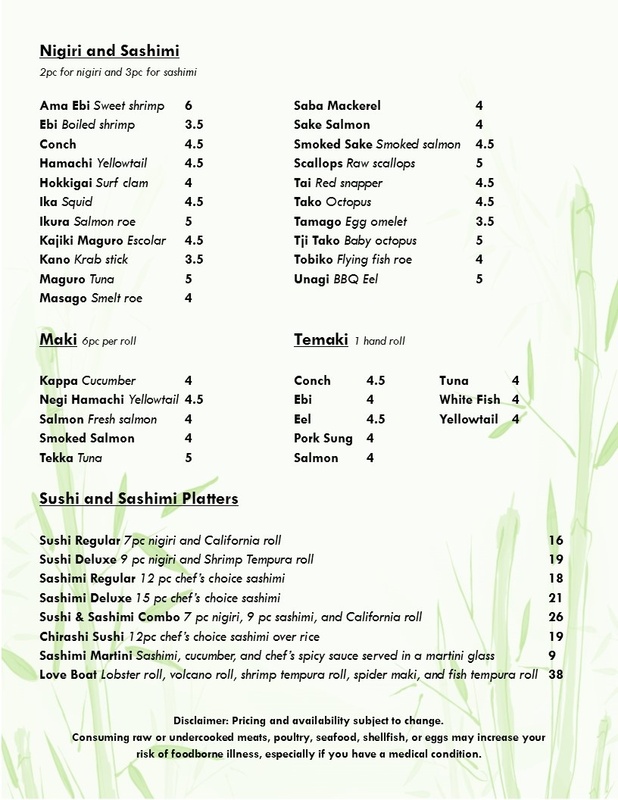 You can find an extensive list of sushi rolls, sashimi, and nigiri on our menu. 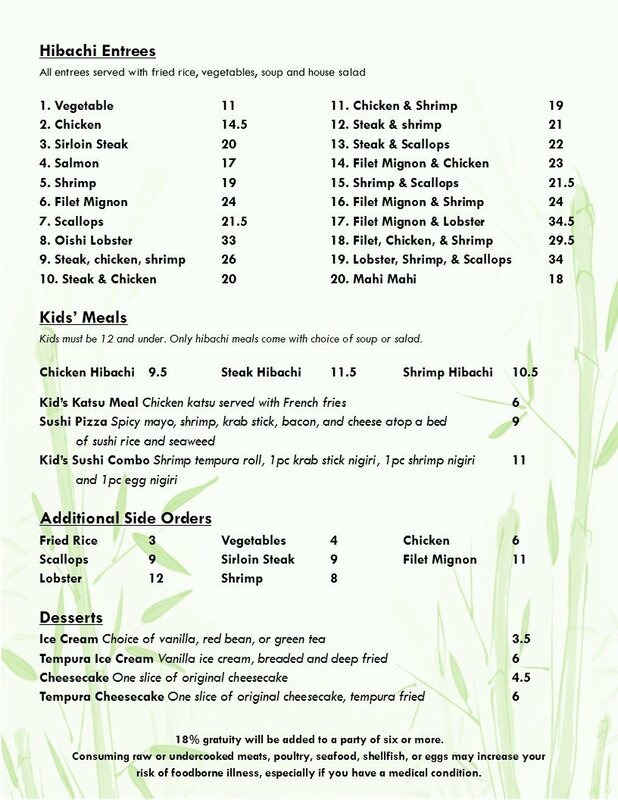 Aside from your favorite Japanese dishes, our menu also includes meals that are perfect for kids. We do our best to satisfy customers of all ages. 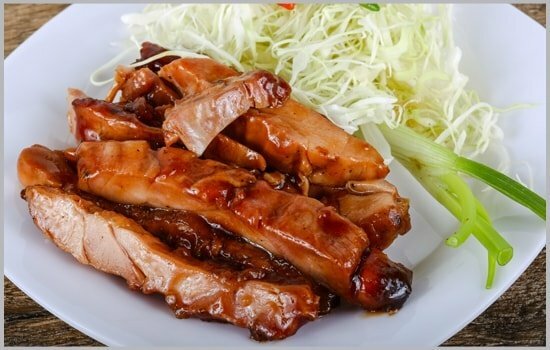 Treat yourself to mouthwatering Japanese dishes. 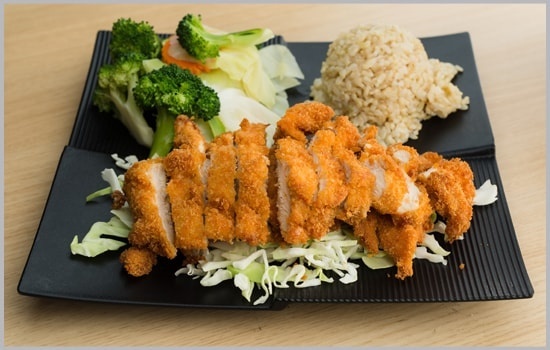 Have an enjoyable Japanese meal at Oishi Spanish Fort. Our menu boasts of tantalizing appetizers, divine entrees, and heavenly desserts. Trust that a single bite of our dishes will immediately delight your palate. 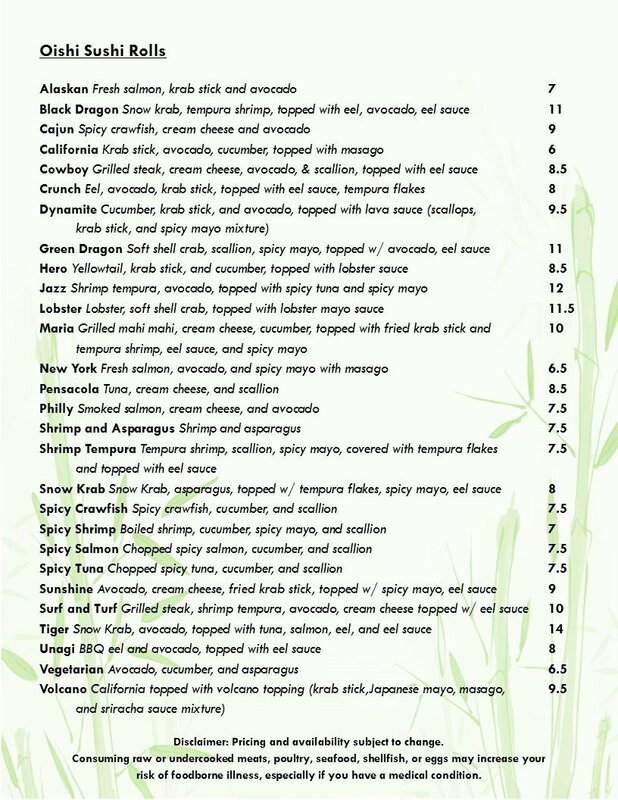 Any Japanese-food lover will surely have a great time dining in our restaurant Spanish Fort, AL. 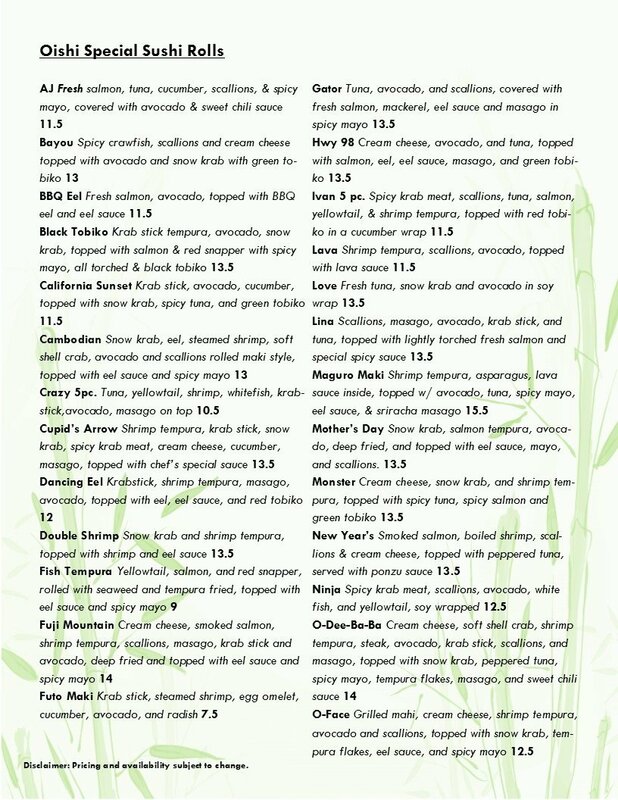 All prices on our menu and the availability of our food are subject to change. 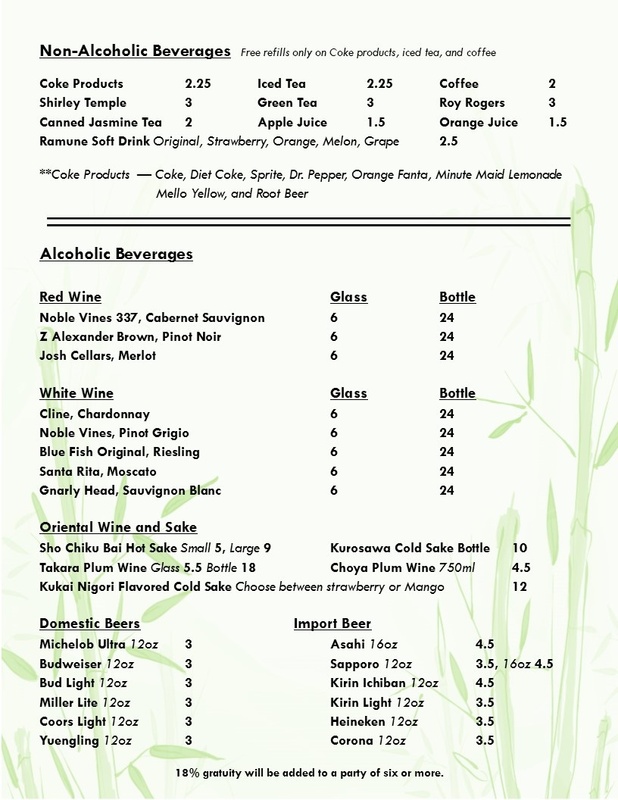 An 18% gratuity will be added to your bill if you are a party of 6 or more. We would also like to remind all our customers that consuming raw or undercooked meat, poultry, seafood, shellfish, or egg may increase your risk of foodborne illness, especially if you have a medical condition. 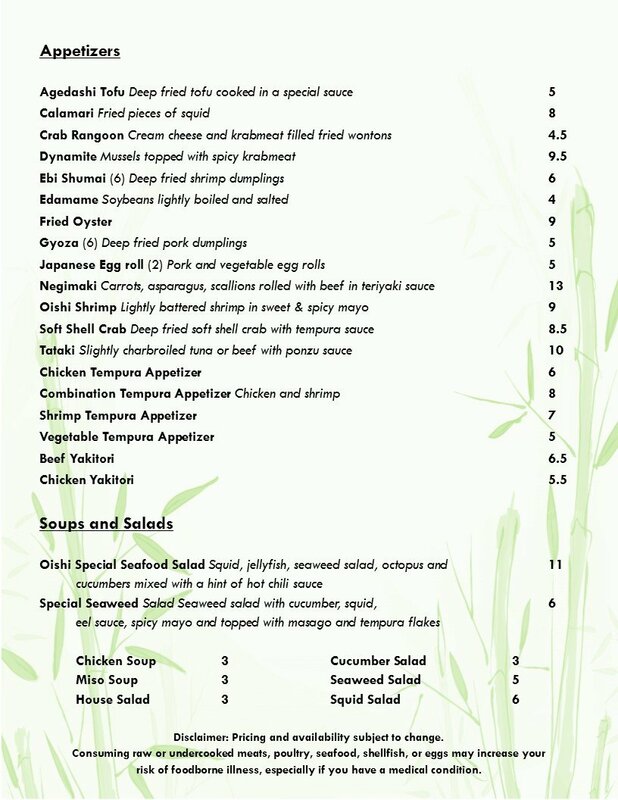 Oishi Spanish Fort promises perfectly made Japanese dishes and exceptional customer service whenever you dine with us. 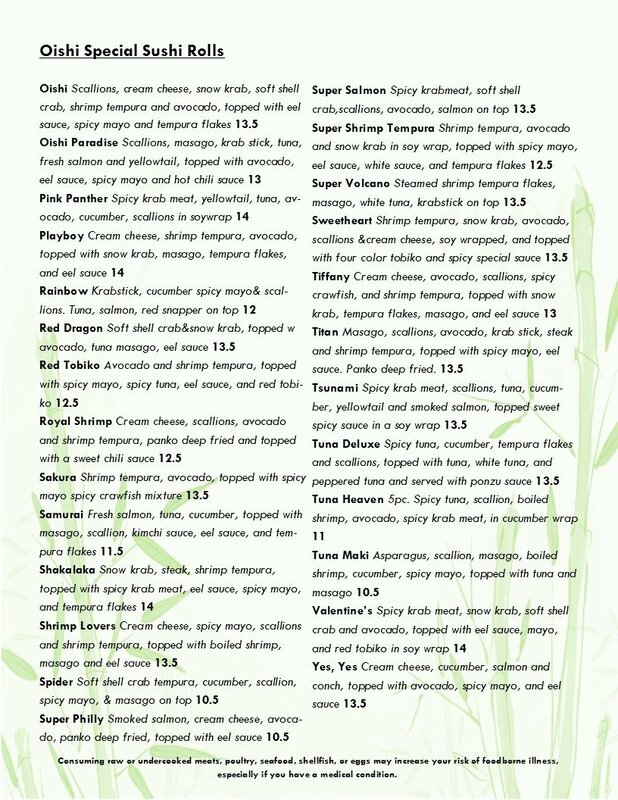 Each item from our menu exemplifies quality and freshness. 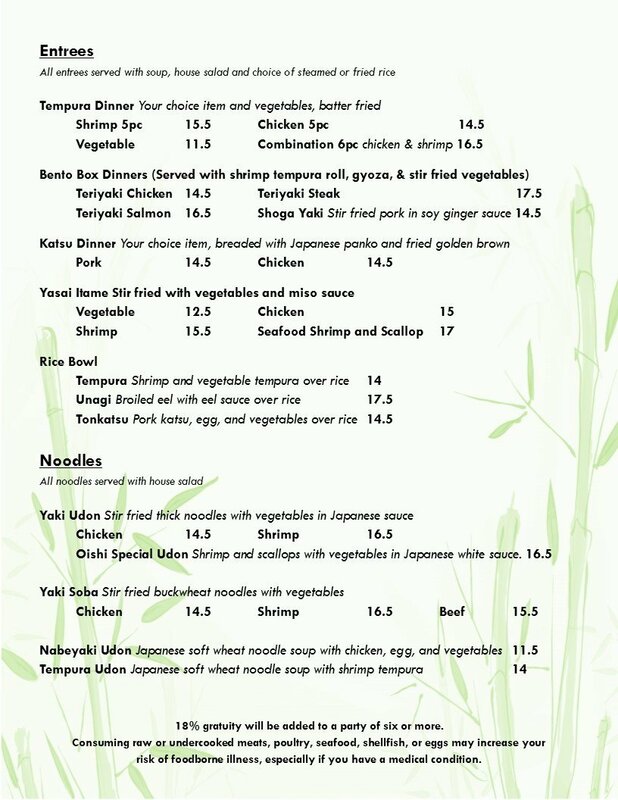 Get a taste of our masterfully created meals when you drop by our Japanese restaurant today. 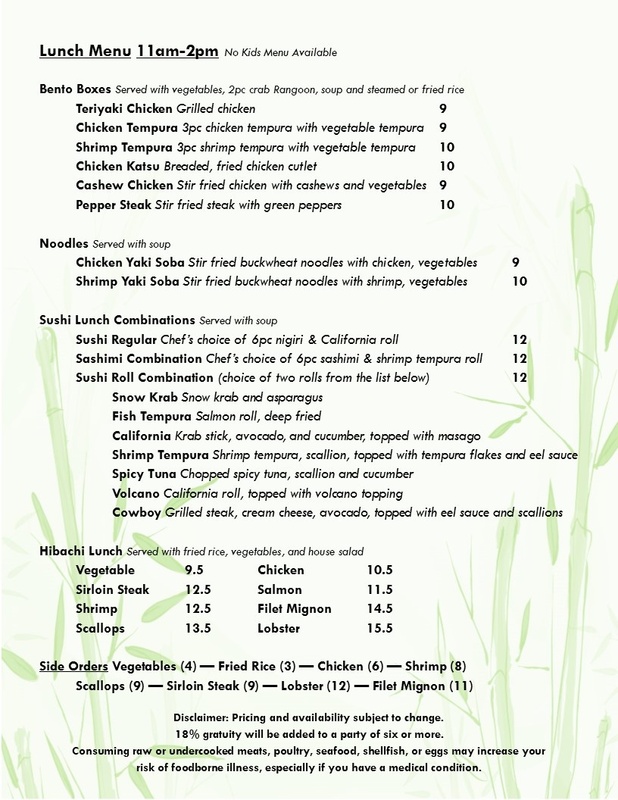 For inquiries about our menu, you may reach us by phone or email.